John 3 ><> Deuteronomy 8 | John 1:9-20 | 1 John 4:9 | YES! GOD HEALS IN 2018! We found most of the websites above online. We don't know them. 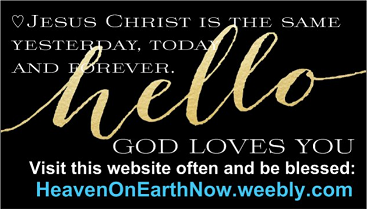 They do not know us and they do NOT endorse us.We only share these links on our sites to hopefully bless others. KEEPING: #1. GOD. #2 FAMILY. #3 BUSINESS. will have the heart to partnership with others for supporting the sending of the gospel, the Word of God, and discipleship around the world, as they are led by the Holy Spirit. Learn about promoting your OIC Web page in safelists. Ready to use, copy and paste Emails and Banners for your marketing! You are finished with the OIC Training. Just some reminders here. Now you just need to use safelists to promote your OIC webpage. Be faithful in your OIC marketing, do it daily and you should have people joining you soon. Most of the information below is for members who are NEW to MLM. Did you know that 97% of the people who start a home/online business, fail? It's true. Yes, 97% of the people who join a home-business or internet-business fail in creating any significant income. Only 3%, of all the people that try, are able to generate any significant income. : ( yikes! Well, we choose to not be a part of the 97% failure rate and we won’t assist you in becoming part of it either. We want every Serious OIC Team Member who completes this training, to end up... IN THE TOP 3% of those success rates! Now that's a pretty tall order! And that's why we had to switch things up a little. Our OIC Boot Camp Training was designed to help walk you and ALL of your new OIC business partners, step-by-step into those rare TOP 3% Home Business Success Rates where people consistently make a great residual monthly income from home. a sale or to build our businesses. How LARGE is your current circle of skilled Online MLM Networkers/Friends? Some of us may have 1 or 2, but most of us will have ZERO skilled and trained networker buddies, who are connected and plugged into a network of the same. --- Everyone wants to make income online via home based businesses or online businesses. Basically, you need a network where everyone has "plugged in" and built their own little Network OF SKILLED, TRAINED AND NETWORKING BUSINESS PARTNERS. You see, that's THE BIG Problem. So that’s the FIRST thing we needed to fix. So the first thing we’ll do through our Boot Camp is help you and your whole team build a network of networking customers and business partners. All of whom have all the training, skills and tools that are needed to build their own OIC Team! ...for TOP 3% Success! -- Just go through the OIC training and get your tools set-up. -- Send out the training emails to those who are interested, as they walk through the training. FOCUS - DILIGENCE - PERSISTENCE - AND PATIENCE. You need to find partners who have THESE POWERFUL AND RARE ELEMENTS TOO. THOSE TYPES OF PEOPLE ARE TOP 3% BUSINESS PARTNERS! YOUR END "GOAL" SHOULD BE, TO FIND, HELP AND TRAIN AT LEAST 5 OIC BUSINESS PARTNERS WHO ARE TOP 3% TYPES: FOCUSED - DILIGENT - PERSISTENT - AND PATIENT. Our network is (mostly) also a network of Christians. So most of our network walks by faith in God, and in His ability ...and with God ALL things are possible. Praise His holy name forever. Amen. We see Him as our source for all things and give Him all the glory for our success. So focus on Him and His word and rest in His finished work!...Glory to the King who rules and reigns forever and ever. Jesus Christ is Lord forever. Amen. If you are someone who will DO YOUR DAILY MARKETING! ...getting 500+ QUALITY SAFELIST VISITS TO YOUR OIC WEBPAGE WEEKLY ...you will fit right in with our team of serious, take action, get the job done…upcoming TOP 3% Income Earners! or business opportunities, for now! build up YOUR small monthly budget into A NICE MONTHLY INCOME...FIRST!!! THEN YOU will be set for MLM, Online Biz Success with the OIC! YOU Need A Skilled Network FIRST. BEFORE you can be successful! Plus, while you build your OIC Network, you can also turn a very little budget into a VERY hefty one as you build your team and start generating a nice monthly residual income together. AFTER you have completed this course and you have positioned yourself as a Serious OIC Wealth Building NETWORKER and Team Member, you will be set for real online success with us. TEAM-WIDE SUCCESS....THAT'S WHAT WE WANT. And we want to help YOU to become one of them! that will walk through this training and do their marketing. So please don't even think about a home business or any online business until after you complete this course and YOU have an OIC Network and YOU have the money (from your OIC Boot Camp Profits!) to step into success with the OIC. SO PUT YOUR BLINDERS ON to any business or opportunity until after you have completed this course. This is very important. Because through our training, you will see lots of great home business opportunities and online businesses being advertised at the SAFELISTS, but you are not prepared to be SUCCESSFUL in ANY of them if you don't have a network in place FIRST. Your OIC Network of 5 Serious Business Partners! We promise, if YOU are NOT absolutely SURE that you have all the necessary funds along with some great customers and skilled business partners READY AND EAGER to buy from YOU and/or join YOU in business...and if you can't actually literally SEE YOUR SUCCESS coming right at you like a freight train falling through the sky with customers ready to buy products directly from YOU every month!...and partners eager to join you in the OIC businesses, then you're not set for real success yet and you're not ready to join any online/home business with us...yet! We think they're GREAT! And we wouldn't have it any other way. Finally, a real MLM solution! All Information, Videos, Tools, Training & Resources Are Subject To Applicable Copyright Laws. Copying Of Any Sort Is Strictly Prohibited And Illegal.